Email marketing is one of the most affordable and effective ways to consistently engage customers and prospects. For every dollar spent on email marketing, brands generate nearly $41 in sales, which outperforms mobile marketing ($10.51 per dollar spent), social media ($12.71), display advertising ($19.72), and search engine marketing ($22.24). But to ensure their message is read and distributed, brands need to focus on improving three important metrics: open rates, click-through rates, and forwards. Below, we define each metric, highlight its importance, and describe strategies to improve your current stats. In an experiment, entrepreneur Neal Taparia found that he could increase his email reach by 54.7 per cent by resending the exact same email to recipients who had not yet opened his original message. Email marketing expert Noah Kagan modified Taparia’s approach by changing his subject line and emailing recipients again one week later, increasing his opens by 30 per cent. While this strategy does not take each email’s open rates into consideration, the results are what matter more. By resending the same email to subscribers who ignored your previous send, you get more people opening your emails without having to create an entirely new message. Your customers and prospects are busy people. 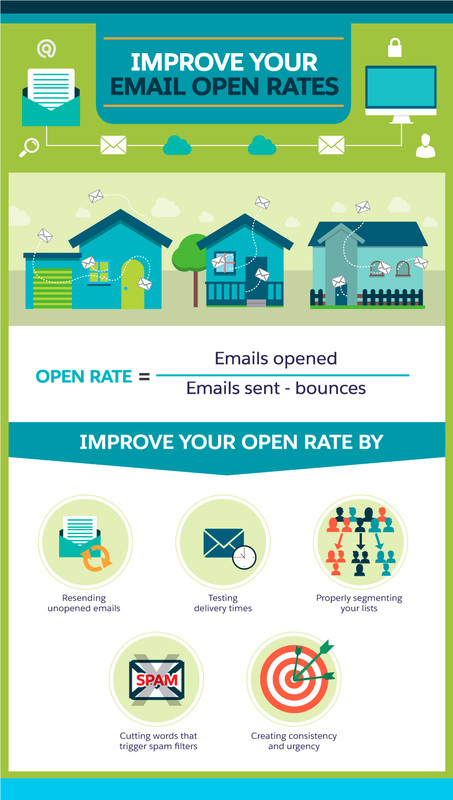 To increase your open rate, marketing expert Lauren Hall-Stigerts recommends, "Land your email in your recipient’s inbox when they’re looking at it." Schedule your emails to deliver during times when subscribers actively check their inbox and when there may be less competition from other brands for reader mindshare. Ignore the studies that suggest 10:30 a.m. or 5 p.m. are the best times to send emails: Your readers likely follow a different schedule, so test different delivery times for your next few email sends, then select time slots that consistently lead to higher open rates. By segmenting your email lists, you increase the likelihood that the messages you send to recipients are interesting and relevant to them. In fact, research from MailChimp reveals that segmented campaigns have a 13.07 per cent higher open rate than non-segmented campaigns. More than 100 billion emails are flagged as spam every day. Because many unsolicited emails carry viruses or promote illicit activities, email programs automatically filter messages that appear to deceive and scam readers. One of the ways our inboxes do this is by checking for specific keywords that are typically associated with spam: Those include "big bucks," "earn per week," "free money," "MLM," "no credit check," and "winning." Avoid using common spam words that may trigger an email client’s junk mail filter. As soon as you establish a set time to deliver your email each week or month, stick to that schedule so recipients know when to expect your message. Your most loyal recipients can budget time to read your newsletter. To create urgency, which encourages subscribers to open your email as soon as they see it, try different subject line formats. An email click-through is recorded when the recipient clicks a link within the email. 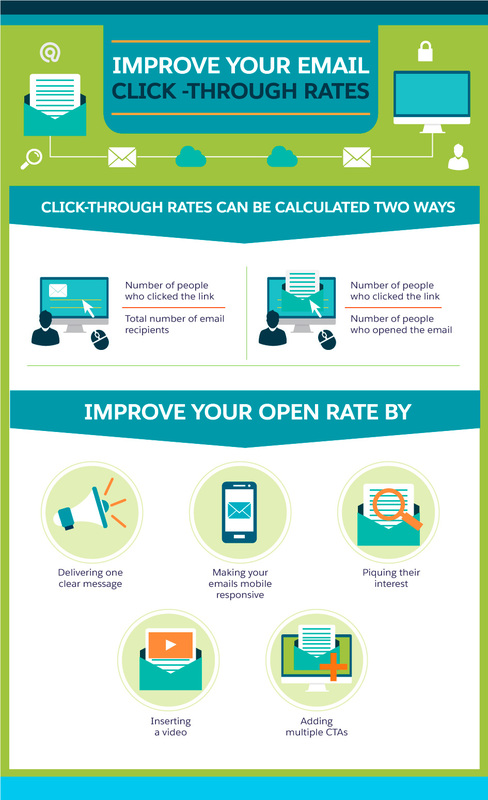 But email click-through rates (CTR) can be measured one of two ways. First is a simple formula: the number of people who clicked a link within the email divided by the total number of email recipients. Second is the number of people who clicked a link divided by the number of people who opened an email as part of a campaign. The latter is a more accurate measure of subscriber engagement. In most marketing campaigns, emails serve as a precursor for further information or materials. Senders typically include a call-to-action (CTA) in each email they want recipients to click. There are five strategies to increase your CTR. Studies show 65 per cent of all emails are first opened on mobile devices. And because mobile users are a fickle audience, you need to ensure your emails load quickly and are easy to read on smartphones and tablets. Otherwise, you risk recipients deleting your message because it is too frustrating to read; they may also archive it to read later, but forget about it entirely. Create emails that are mobile-friendly and remember to test them on different devices before you hit send. When the town of Enfield, CT added a video to their email blast, they experienced a 28 per cent increase in click-throughs. Research shows video email marketing is on the rise and has a 280 per cent higher rate of return than traditional emails. Insert a video to capture your audience’s attention and motivate them to click. Reference the link you want subscribers to click multiple times within your email to increase your CTR. In longer emails, multiple CTAs give readers the option to click-through at the beginning, middle, or end of your email—whenever they are convinced they want more information from you. When Strong Women Strong Girls, an organization that helps find women to mentor young girls, linked to their CTA twice in an email, they saw a 30 per cent lift in CTR. Buttons work, too. Gorilla Doctors, a veterinary organization, also saw their CTR grow 30 per cent when they added a “Click to Read More” button within their email template. Even though emails are a fairly private way to communicate information, most brands appreciate when subscribers forward their emails to friends or share their email on social media. For Marketing Land, Tom Sather describes email forwards as “not only a good indicator of interest from your subscribers, but also their friends and family. Not to mention those recipients are more likely to open the email since it’s being sent by someone they know.” Email forwards and shares are one of the best ways to grow your audience because your subscribers help expand the reach of each of your marketing and sales messages. 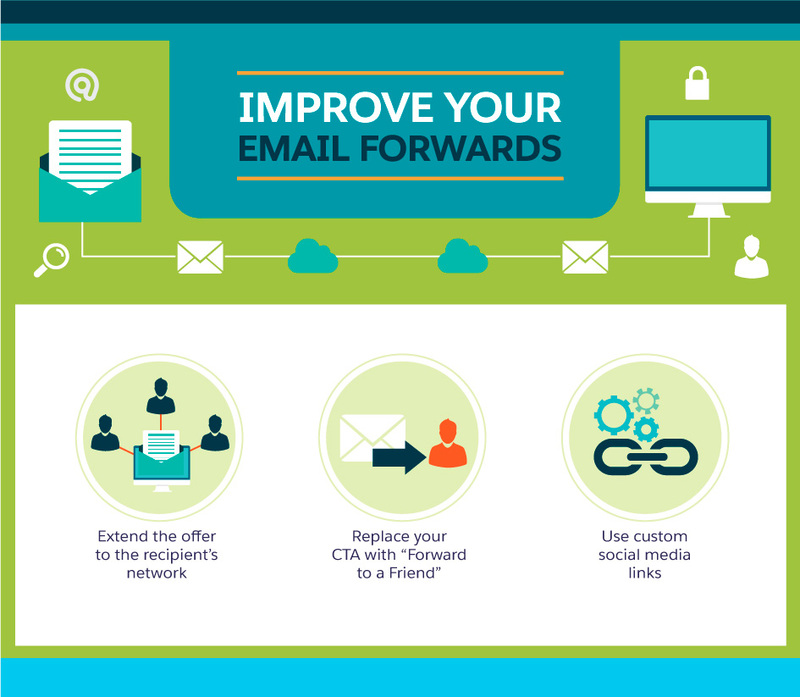 To prompt your audience to forward your email to a friend or share your email as a webpage, leverage these three tips. Some emails are standalone pieces of content that do not include a link for subscribers to click. In those instances, you may want to replace your standard CTA with a “Forward to a friend” prompt. For example, emails containing event information with an open invite should include a “Forward to a friend” CTA to increase the number of attendees. A select group of marketers believe the practice of encouraging recipients to “Forward this email to a friend” is dead. To reach a bigger audience organically, they recommend including custom social sharing links in each email. These links allow recipients to seamlessly promote your message to their social networks. Like any other marketing channel, email requires relentless optimization to improve customer engagement rates. Using industry averages, companies can benchmark how well their campaigns perform against their peers. But, ultimately, your goal should be to consistently outperform yourself. 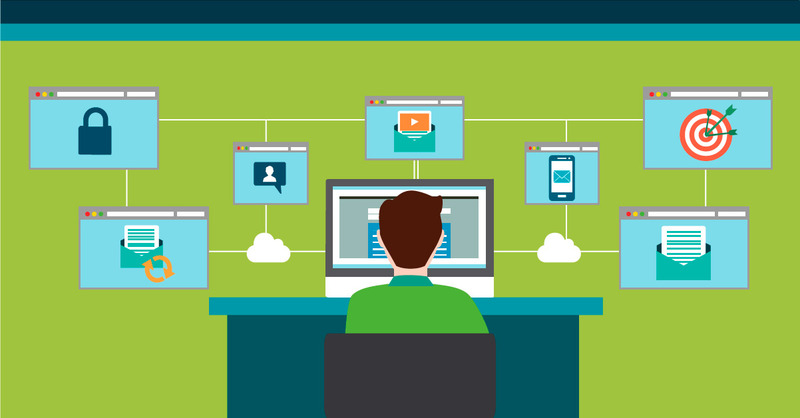 These tips will help your email campaigns get exposed to more people and exceed your goals.